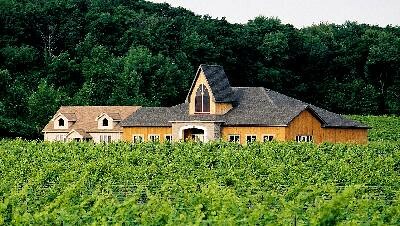 The real estate Ridgepoint Wines enjoys is ideally positioned adjacent to John Howard’s Megalomaniac vineyards and across the road from the over-achieving Tawse Winery on the lower slopes of the Niagara Escarpment in Vineland’s Twenty Mile Bench. 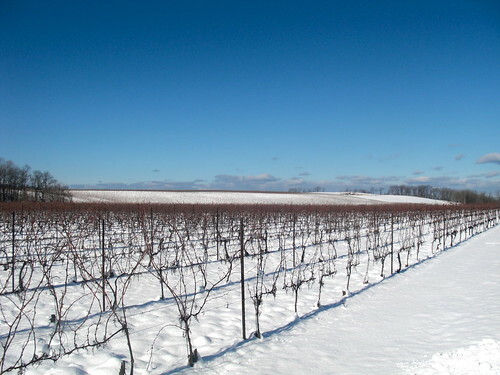 It is ideal Niagara terroir and picturesque as you look out onto the vineyards even on a cold winter’s day. Co-owner of Ridgepoint, Mauro Scarsellone (the other owner is his sister Anna), makes the trek to his winery as often as he can from his home in Woodbridge, Ontario. It has been a labour of love building the winery and portfolio and it hasn’t always been smooth sailing. 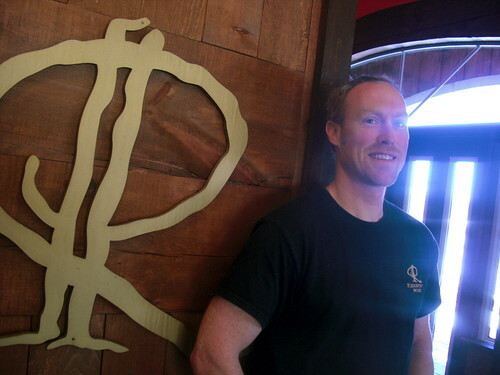 But you get the sense that Ridgepoint has found a portfolio of wine that works, an eclectic mix of what traditionally does well in Niagara and what Scarsellone loves best — Italian variatels such as Nebbiolo and Sangiovese. He has hired a new winemaker, Barclay Robinson (top photo), a Brock grad who has worked at Tawse and in Calgary as sommelier, and who seems comfortable in the new job. Previously, Arthur Harder was the winemaker. Ridgepoint is committed to the production of premium and ultra-premium wines from estate-grown Chardonnay, Riesling, Cabernet Sauvignon, Cabernet Franc, Merlot and Pinot Noir grapes. The winery is also responsible for the first commercial bottling of Nebbiolo (source of the renowned Barolo wines of the Piedmont region of Italy) in Ontario. As far as I know, the only other Nebbiolo being made is at Alvento. He also works with Sangiovese and has released his first appassimento-style wine from a blend that includes the Aglianico grape. The vineyards at Ridgepoint were planted in 1995, and now include 18 acres planted to premium vinifera grapes. More than half is planted to three red varieties, Pinot Noir, Merlot, and Cabernet Sauvignon. Ridgepoint Cabernet Merlot 2010 ($15, LCBO, 87 points) — This is a typical Niagara blend of Cabernet Sauvignon, Cabernet Franc and Merlot but made at a reasonable price. The nose shows raspberry, cherry, bramble and light oak and spice notes. It’s made in a fruit-forward style with decent acidity to lift the red fruits, plums and soft spices. Ready to drink now. Ridgepoint Sangiovese 2010 ($23, 88 points) — This staple of Tuscany’s Chianti region is a rarity for Niagara. It’s grown in one vineyard on Vinemount Ridge. The wine spends two years in older French barrels. The nose shows meaty red fruits, underbrush, and light spice. It has energy on the palate driven by a racy vein of acidity. It’s a beautiful food wine, with a delicious combination of red fruits and spice that doesn’t overpower the medium weight of this unique wine. Just add pasta and a tangy tomato sauce. 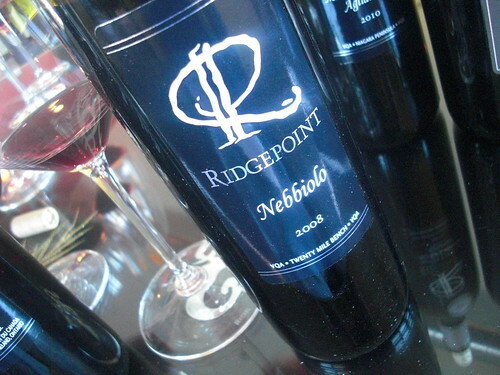 Ridgepoint Nebbiolo 2008 ($45, 89 points) — This Nebbiolo spent 36 months in second-fill French barriques. The nose shows lovely mature plums, black cherries, violets and baking spices with touches of earth and forest floor. There is a mouthful of youthful tannins and fresh acidity that accompanies the red fruits, anise, pepper and baking spices on the palate. This is rounding out nicely but still could stand some time in the cellar. Ridgepoint Merlot Cabernet Aglianico 2010 ($30, 90 points) — Can’t say that I’ve even had this particular blend of 60% Merlot, 20% Cabernet Sauvignon and 20% dried-grape Aglianico. The goal here, says Scarsellone, is to “experiment” a bit. “How can I make a consistent product? Appassimento will help in the cooler vintages and will bring in new flavours and aromas.” Scarsellone wants to continue down the path of dried-grape winemaking and plans to introduce more Italian varietals such as Corvina to “kick it up a notch.” This is a fun wine with a nose of ripe kirsch, red plums, currants and toasted vanilla and spice. It’s soft and lush on the palate with currants, red fruits, earth and spices all leading to a long, lush finish. Ridgepoint Meritage 2007 ($25, 90 points) — A blend of 38% Cabernet Sauvignon, 27% Merlot and the rest Cabernet Franc, this big red blend from a hot vintage spent 30 months in oak barrels. It has an expressive, juicy nose of fortified cherries, raspberry jam, bramble and oak barrel spices. It’s a nicely matured red that shows bold and sassy fruit, depth of flavours and well integrated spice and tannins. It’s in a very good place right now, and a fine example of the vintage.